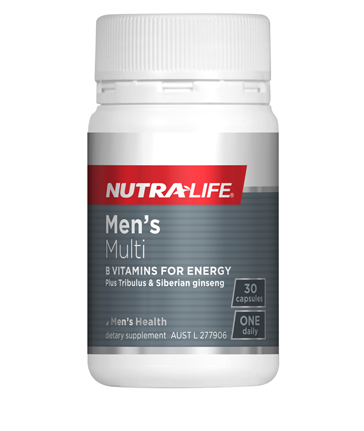 Men's Multivitamins and Minerals offer everything that a normal multi does, yet with some extra herbs and sometimes nutrients to support male physiology. Tribulus terrestris is often added to these formulatons, which is an exceptionally powerful testosterone regulatory herbal medicine. This herb supports the maintenance of a healthy level of this hormone, ensuring that as we age, it does not drop too low. Tribulus has also long been praised for its general tonic effects. Eleutherococcus senticosus, commonly known as Siberian Ginseng, is a formidable adaptogenic herb that can assist with stamina and endurance. Any herb that is termed "adaptogenic" generally indicates that it will assist with adaptation to any form of stress, whether it be mental, physical or emotional. This is certainly great, as life can offer the occassional bout of stress in varying forms! It's good to be prepared ... Men's Multivitamins are great nutritional and herbal support for male general health.